Each year, events are held across Ontario to raise funds to give deserving youth an unforgettable week of camp, inspiration and growth. Thanks to the generosity of sponsors, donors and attendees, these yearly events are gaining in popularity, and the number of young people we inspire to change their worlds is growing all the time. On May 27th, we hit the links at Glen Abbey Golf Course in support of the Muskoka Woods Youth Foundation. Your donations will open doors for deserving youth to realize new possibilities, conquer fears, discover passions and make new friends. Your generous investments will give these young people lasting summer camp memories and hope of a brighter future. Help us put summer camp within reach of kids in our community! 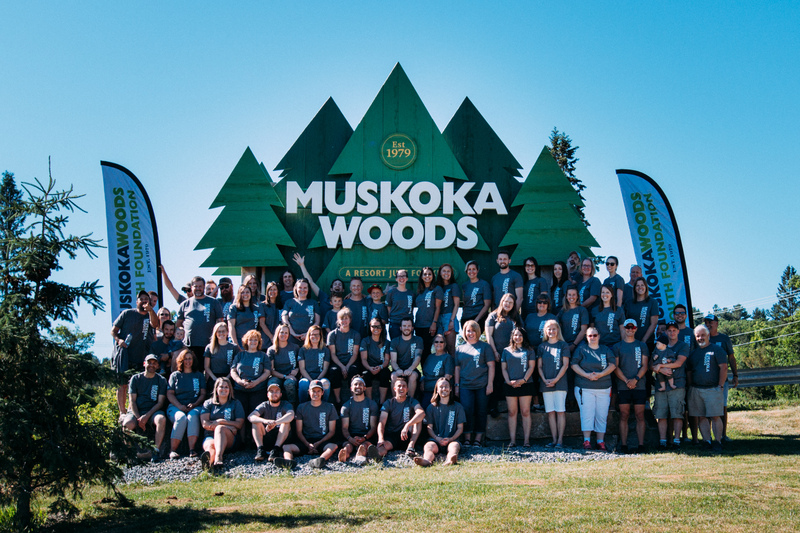 On June 21st, 2018 Muskoka Woods staff participated in the Run Round Rosseau, a 65km relay around the beautiful Lake Rosseau. These funds will give kids from the local community the opportunity experience a week of summer camp.